Ballston Spa, NY: Albany-Saratoga Speedway; June 29, 2018: Friday night at Albany Saratoga Speedway was a fun and exciting night for the Heath Racing Team. After pulling a great draw, the 6R lined up on the pole of the 3rd heat race. Ryan pulled away from the field the moment the green flag dropped. By the half way point, the 6R had a 1.5 second lead over the second-place car. While the 02 did close the gap, Ryan easily crossed the line 1st to bring home a 2nd heat race win on the season at The Great Race Place. Ryan started on the pole for the 20-lap main feature for the Limited Sportsman. With the drop of the green, the 6R rocketed down the shoot into turn one. Ryan lead the first few laps however, the car tightened up early and quickly during the race. Ryan lost the lead to the 02 just before the caution flags came out for the first of many cautions. Ryan restarted on the outside of the 02 and made a run for the lead once again but the car would not cooperate ad it continued to run tight through the corner. With several caution restacking the field, the 6R held on to finish in the 5th position. During post-race inspection, the crew noticed the steering box was starting to fail a good catch was would need to be fixed quickly to race again on Sunday. 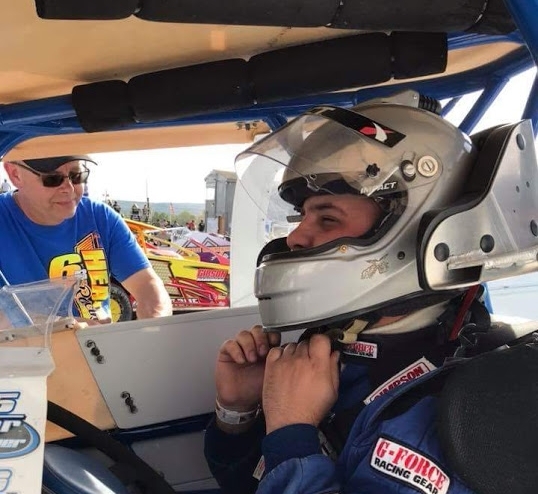 Fultonville, NY: Glen Ridge Motorsports Park; July 1, 2018: With the heat index reaching triple digits and the sun blazing down, the 6R team rolled into the pits at The Ridge, ready to finally bring home that victory! Once again firing from the pole in the heat race, the 6R kept the lead over the 26 of McGrew Jr. Going into turn 1, on lap 6, McGrew Jr made a bid to the inside of the 6R and took the lead. While working to regain the lead, the dash cluster on the 6R shorted out and starting smoking. The ignition wire was burnt, and the engine shut off going into turn 1 causing the 6R to spin out. After the crew did some rewiring, the 6R was ready to do battle again. Ryan rolled off 5th in the 20-Lap Limited Sportsman Feature. Ryan worked his way into 2nd place by lap 5. However, a slight push and no cautions meant the 6R would not catch McGrew. Ryan crossed the line 2nd to bring home another podium finish at The Ridge. Next Race: Sunday, July 8, 2018 at Glen Ridge Motorsports Park.